Seventh-inning lead change vaults West past the Verona Wildcats Freshman, 8-3. A tight game was decided in the seventh inning as the Verona Wildcats Freshman fell to West 8-3 in seven innings on Thursday at Badger Ridge. Hill got the win for West. He allowed three runs over seven innings. Hill struck out 10, walked three and gave up six hits. Jeff Bishop took the loss for the Verona Wildcats Freshman. He allowed eight runs in seven innings, walked two and struck out nine. The bottom of the first saw the Verona Wildcats Freshman take an early lead, 1-0. Jeff kicked things off for the Verona Wildcats Freshman with a single. After posting one run in the second, the Verona Wildcats Freshman again scored one in the fifth. In the second, the Verona Wildcats Freshman scored on an RBI single by Brandon Ellestad, scoring Luke Frahm. West never trailed after scoring five runs in the seventh on a two-run double by Parker and two errors. The Verona Wildcats Freshman jump on West early and coast to 14-3 win. 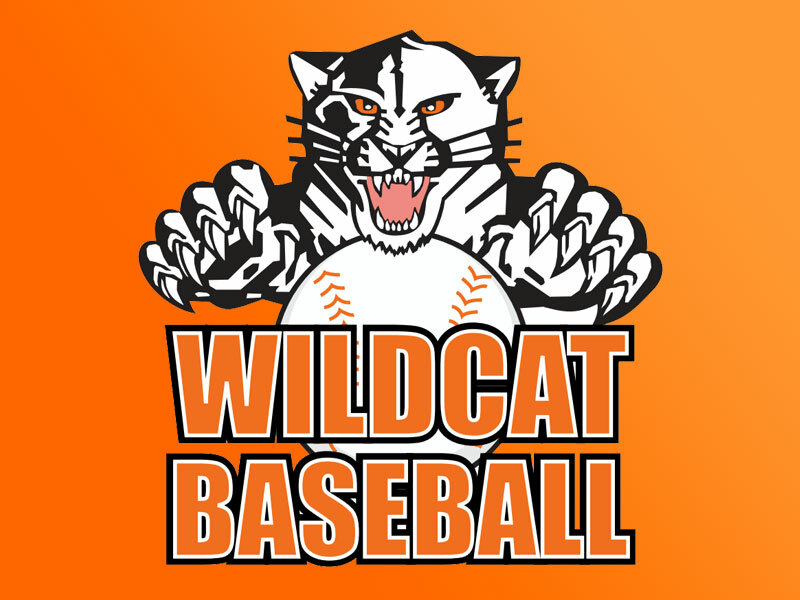 The Verona Wildcats Freshman jumped out to an early lead on West and captured a 14-3 victory on Thursday (completing the game started on 05/19/14). With eight runs in the first three innings, the Verona Wildcats Freshman left no doubt about the eventual outcome. A two-run error during the first inning and an error in the second inning fueled the Verona Wildcats Freshman’s offense early. Jacob Slonim was solid at the plate for the Verona Wildcats Freshman. Jacob went 2-4, drove in one and scored one run. He singled in the first and fifth innings. Noah Anderson had an impressive outing against West’s lineup. West managed just two hits off of Anderson, who allowed one earned run, walked five and struck out seven during his five innings of work. G Faye took the loss for West. He allowed 14 runs in five innings, walked two and struck out five. The Verona Wildcats Freshman increased their lead with five runs in the third. Nick Pederson singled, scoring Brandon Ellestad and Jacob to start the inning. That was followed up by Caleb Hansen’s single, bringing home John Coshun and Nick. The Verona Wildcats Freshman tacked on another six runs in the fifth. Luke Frahm’s single got things going, scoring Caleb and Max Fink. That was followed up by John Van Handel’s single, bringing home Noah and Luke. Hot bats not enough, the Verona Wildcats Freshman succumb to Parker, 9-8. Nine hits weren’t enough for the Verona Wildcats Freshman as it lost a shootout, 9-8 in five innings, to Parker on Thursday at Badger Ridge. The Verona Wildcats Freshman jumped out to an early lead, but they were unable to hang on. The Verona Wildcats Freshman led until the fifth inning, but Parker took the lead back on an error. Shaitel got the win for Parker. He pitched three shutout innings. He struck out five, walked two and surrendered no hits. Shaitel, Randles and Whitiker helped lead Parker. They combined for four hits and four RBIs. Jeff Bishop ended up on the wrong side of the pitching decision, charged with the loss. He lasted just two innings, walked two, struck out one, and allowed three runs. Parker jumped out to an early 3-0 lead in the top of the first. Parker got things going when Shaitel singled. A stolen base then moved Shaitel from first to second. The scoreboard lit up again for Parker when Aegerter scored when Dubanovich was hit by a pitch and Bradley scored on a bases loaded walk by Jake Walter. Parker pushed across one run in both the second inning and the fourth. In the second, Parker scored on an error, bringing home Bradley. It didn’t take long for the Verona Wildcats Freshman to respond as they scored two runs of their own in the second. The Verona Wildcats Freshman scored on an RBI single by Noah Anderson and a sacrifice fly by Brandon Ellestad. Parker matched its two-run third inning with two more in the fifth. In the third, Parker scored on an RBI double by Shaitel, scoring Whitiker. The Verona Wildcats Freshman answered Parker’s top inning with five runs of their own in the third. The Verona Wildcats Freshman scored on a passed ball, an error, a sacrifice fly by Dominic Murray, a passed ball, and an error. The Verona Wildcats Freshman jump on Parker early and coast to 21-3 win in the front end of a double header. The Verona Wildcats Freshman jumped out to an early lead on Parker and captured a 21-3 victory on Tuesday at Badger Ridge. With 21 runs in the first three innings, the Verona Wildcats Freshman left no doubt about the eventual outcome. An RBI single by John Van Handel, an RBI triple by Jeff Bishop, an RBI single by Jared Grassman, an RBI single by Luke Frahm, a two-run single by Max Fink, and a passed ball during the first inning and a two-run double by Luke and an error in the second inning supplied the early offense for the Verona Wildcats Freshman. Luke racked up three RBIs on three hits for the Verona Wildcats Freshman. Jacob Slonim got it done on the hill on the way to a win. He allowed three runs over four innings. Jacob struck out eight, walked three and gave up four hits. Masterson ended up on the wrong side of the pitching decision, charged with the loss. He allowed seven runs in one-third of an inning, walked one and struck out none. The Verona Wildcats Freshman survived Parker’s surge and put up 10 runs of their own in the third. The Verona Wildcats Freshman scored on a single by Brandon Ellestad, an RBI single by Bailey Lee, a fielder’s choice, an RBI single by Dominic Murray, an RBI single by Caleb Hansen, a two-run error, an error, and a two-run single by Grassman. Early lead not enough for the Verona Wildcats Freshman, drop 9-3 decision to Middleton. The Verona Wildcats Freshman jumped out to an early lead, but were unable to hold on and lost 9-3 to Middleton on Tuesday. While the Verona Wildcats Freshman led until the fourth inning, Middleton worked its way back and took the lead on an RBI single by Cashman. Smith recorded the win for Middleton. He allowed three runs over four innings. He struck out two, walked five and surrendered four hits. John Coshun was the game’s losing pitcher. He allowed seven runs in four innings, walked three and struck out six. Middleton never trailed after scoring six runs in the fourth on an error and an RBI single by Cashman. The Verona Wildcats Freshman offense too much for LaFollette in 13-1 rout. The Verona Wildcats Freshman refused to relinquish the lead after grabbing it early against LaFollette, recording a 13-1 victory on Tuesday. A groundout by John Van Handel during the first inning and an RBI double by Luke Frahm, a sacrifice fly by Max Fink, an RBI double by Noah Anderson, an RBI single by Bradly Laufenberg, an error, and an RBI single by Nick Pederson in the second inning helped the Verona Wildcats Freshman put some runs on the board early. Luke had a busy day at the plate, collecting two extra-base hits. Luke got the win for the Verona Wildcats Freshman. He allowed one run over five innings. He struck out one, walked two and surrendered seven hits. The Verona Wildcats Freshman’s Noah, Luke, Nick and John Van Handel combined for nine hits and seven RBIs. Julian ended up on the wrong side of the pitching decision, charged with the loss. He allowed seven runs in two innings, walked one and struck out two. The Verona Wildcats Freshman muster more hits but fall 2-0 to Craig. 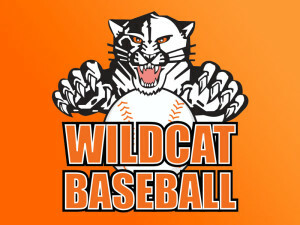 The Verona Wildcats Freshman lost 2-0 in five innings at Badger Ridge on Saturday, despite outhitting Craig two to one. Bradly Laufenberg had an impressive outing against Craig’s lineup. Bradly held Craig hitless over two innings, allowed no earned runs, walked three and struck out three. Kraus got it done on the hill on the way to a win. He tossed five innings of shutout ball. He struck out seven, walked five and surrendered two hits. Luke Frahm couldn’t get it done on the mound for the Verona Wildcats Freshman, taking a loss. He walked two, struck out two, and allowed two runs. Craig didn’t relinquish the lead after scoring two runs in the third inning when it scored on a two-run triple by Kraus. The Verona Wildcats Freshman beat Craig 1-0. Jeff Bishop went 1-1 as the Verona Wildcats Freshman took home a 1-0 victory over Craig in five innings at Badger Ridge on Saturday. He doubled in the first inning. Craig had no answer for Bradly Laufenberg, who kept runners off the basepaths in his appearance. Craig managed just one hit off of Laufenberg, who allowed no earned runs, walked three and struck out six during his five innings of work. Lynch ended up on the wrong side of the pitching decision, charged with the loss. He lasted just three innings, walked one, struck out six, and allowed no runs. The Verona Wildcats Freshman fall to Sun Prairie Red 6-3 in spite of Noah Anderson’s performance. Noah did his best to jumpstart the offense for the Verona Wildcats Freshman, reaching base two times. He doubled in the fifth inning. D Middaugh got the win for Sun Prairie Red. He allowed three runs over seven innings. He struck out one, walked four and surrendered five hits. Jeff Bishop was the game’s losing pitcher. He allowed six runs in six innings, walked four and struck out one. In the top of the third, the Verona Wildcats Freshman grabbed the early lead, 2-0. Jared Grassman kicked things off for the Verona Wildcats Freshman with a single. A passed ball then moved Jared from first to second. The Verona Wildcats Freshman then tacked on more runs when Anderson scored on an RBI single by Jeff. The lead stayed with Sun Prairie Red after the fifth, when it scored five runs on a two-run double by J Suchomel and two singles. The Verona Wildcats Freshman offense too much for Beloit in 18-2 rout. The Verona Wildcats Freshman jumped out to an early lead on Beloit and captured an 18-2 victory on Tuesday. With 11 runs in the first three innings, the Verona Wildcats Freshman left no doubt about the eventual outcome. A two-run single by John Van Handel, a hit by pitch, a two-run single by Max Fink, and a bases loaded walk in the first inning and a two-run single by John Van Handel, an RBI single by Nick Pederson, and a groundout by Noah Anderson during the second inning fueled the Verona Wildcats Freshman’s offense early. John Van Handel racked up five RBIs on five hits for the Verona Wildcats Freshman. John Coshun got the win for the Verona Wildcats Freshman thanks to nine strikeouts. John Coshun allowed one earned run, two hits and four walks over five innings. The Verona Wildcats Freshman easily handled Beloit pitching as six hitters combined for 14 hits, 11 RBIs and 12 runs scored.